If you missed the Google I/O conference last week, here is the video of Google’s largest announcement, Google Wave, which in short aims to replace the 40 year old email standard and become a new open standard for electronic communication and real-time collaboration. It’s a whole new way of thinking about online communication and there are a number of components to the system so if you work in tech it’s worth watching the video from beginning to end. 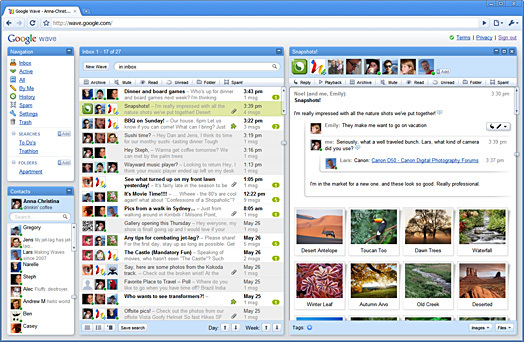 Google Wave is a major power play by Google, and the biggest question is how Microsoft will embrace or deflect HTML5 in it’s browsers, a requirement for Wave, and the new Wave protocol itself. As a side note, I was hoping Google would talk about how the new Wave system potentially ends the largest current issue with email — SPAM. It’s implied by the architecture of the system but I’m not sure everyone will grasp this and in my mind is a huge selling point for any protocol, as least in-part, aiming to replace email. This entry was written by Brian McNitt, posted on at 12:18 pm, filed under Business, General Computing, Web Development and tagged email, google, mcnitt, technology, twitter, wave. Bookmark the permalink. Follow any comments here with the RSS feed for this post. Post a comment or leave a trackback: Trackback URL. 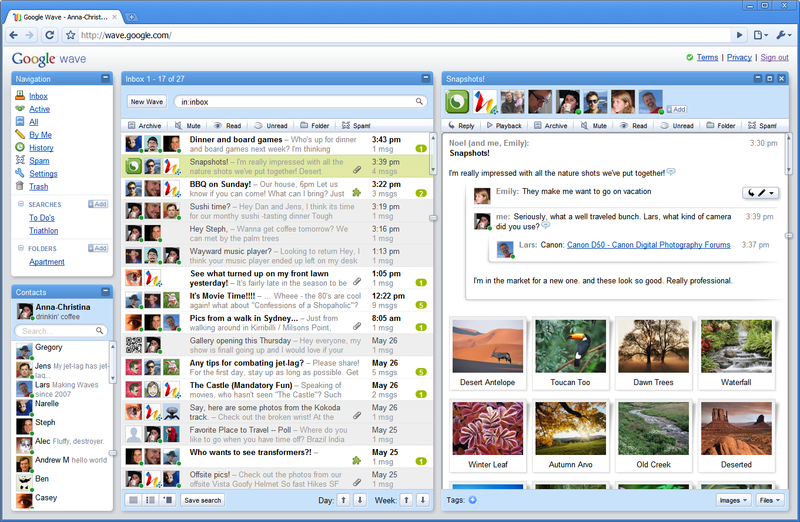 Google Wave does represent a hugely new approach to communication and collaboration. In fact, its newness makes it a contender only in the long run, especially in the enterprise market. It is the kind of thing that the consumer market will start playing with, and if they like it, then keep with it. It has to have a considerable success in the consumer market before the enterprise market considers it seriously. The enteprise market drags its feet real slowly. Heck, inspite of the major benefits SaaS messaging provides, it has begun to flirt with that only now.